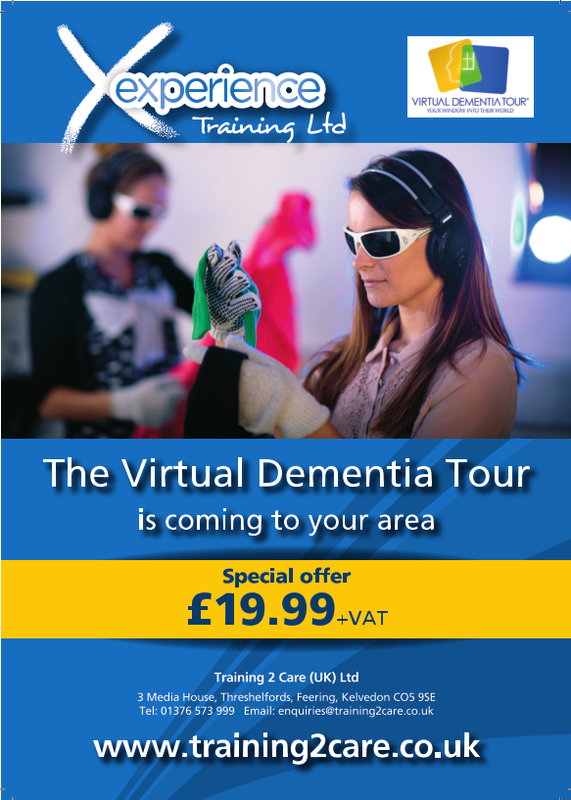 The Virtual Dementia Tour is coming to a town near you where you can attest this valuable short course to have a better understanding of Dementia. You can see the dates and book online at www.bookvdt.co.uk . When you complete the Virtual Dementia Tour you will receive a free ProTrainings login where you can download your completion certificate, certified CPD certificate and downloads and videos to watch to further understand Dementia. Quality care for those dealing with Alzheimer’s disease and related dementias begins with family members and professional caregivers who are sensitive, patient and kind. But how can people be empathic when they have never experienced firsthand the physical and mental challenges facing those with dementia? Now there is a way. The Virtual Dementia Tour® — a scientifically proven method of building a greater understanding of dementia through the use of patented sensory tools and instruction —is Your Window Into Their World. Created by P.K. Beville, M.S., an award-winning geriatric specialist and founder of the international nonprofit Second Wind Dreams®, the Virtual Dementia Tour® (VDT) sensitivity training program is designed to give individuals and organisations the ability to help identify with and understand people with dementia’s behaviors and needs. Learning to create a positive environment for those with dementia can only come from attempting to walk in their shoes. 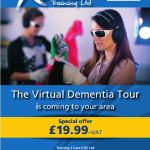 The Virtual Dementia Tour® is a unique, interactive training experience that is proven to improve communication and care. This amazing training is ideal for anyone who comes into direct or indirect contact with this condition and includes new employees, hospitals, nursing homes, residential homes, universities, law enforcement, churches, doctors, individuals working in the public sector, department of transportation, and anyone caring for a loved one in their own home. After experiencing the Virtual Dementia Tour® training, caregivers will be able to identify with and better understand the behaviors and needs of those in their care. The Virtual Dementia Tour® enables participants to gain a greater understanding of dementia and shift their thinking from fear to action.